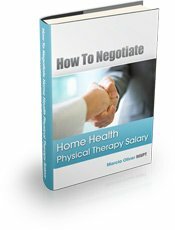 Home Physical Therapy Store - A quick look at our products - entirely written and designed by the site owner. Our home physical therapy store is your one stop place to find all the resources we offer on our site. Treating or Preventing Disease Helps Your Entire Rehab Process! Buy all 7 for $27 or individual ones here. If you would like to get a notice when the next resource is available you can subscribe here. We only send our Do-It-Yourself Home Health Physical Therapy newsletter when something big is happening!